How do we get the most out of the counseling? Can I watch a preview of some of the material that will be covered? Do you recommend a particular hotel? What if we need follow-up counseling? What if we don’t feel comfortable in a group? What if my partner will not attend? What if there is no hope for my marriage? Does our health insurance cover any of the cost? What if we cannot afford it? May we record the sessions? Below we’ve listed many of the questions (along with detailed answers) to some of the more common questions we are asked. If your question isn’t listed below, please contact us and we’ll get you an answer right away. Notice that there is a time to “take the speck out of your partner’s eye.” But first, you must remove the “log out of your own eye.” In counseling over 3,000 clients, I have never once seen the reverse order work successfully. Anyone who wants to learn relational principles to improve their relational skills as a parent, friend, co-worker, manager, pastor, or counselor. Clear your schedule and commit to no TV, e-mails, phone calls, kids, work, etc. Fully devote these three days to enrich your marriage. Consider staying at a hotel both nights (for the Three-Day Marriage Clinic™). Even if you opt for the Three-Day Accelerated Marriage Counseling (AMC)™, you may wish to book a hotel room for all three nights. This maximizes your togetherness time and minimizes interruptions. You can also use downtime at the hotel to complete your projects. Yes. Karl Elkins taught some of the material through a TV series called Up with the Son, presented by the College of Biblical Studies. Several of these videos are available on the Up with the Son Vimeo channel. By watching these videos, you can preview some of the material that we will present in our Three-Day Marriage Clinic™, Three-Day Accelerated Marriage Counseling™, and Individual Counseling sessions. For the Three-Day Marriage Clinic™ . . . 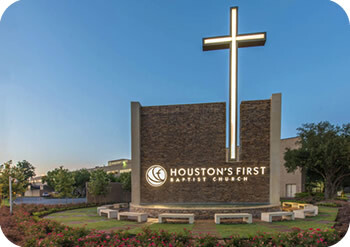 The Houston Three-Day Marriage Clinic™ is usually held at Houston’s First Baptist Church (Loop Campus). We encourage you to book at room at a nearby hotel to minimize distractions, and make transportation easier. 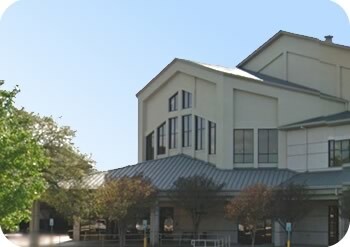 The Austin Three-Day Marriage Clinic™ is held at various campuses of Hill Country Bible Church. We encourage you to book at room at a nearby hotel to minimize distractions, and make transportation easier. We occassionally offer the marriage clinic at other locations throughout the United States. We encourage you to book at room at a nearby hotel to minimize distractions, and make transportation easier. For the Three-Day Accelerated Marriage Counseling (AMC)™ . . . If you are planning on the Three-Day Accelerated Marriage Counseling (AMC)™ or Individual Counseling, and you are coming from outside the Houston area—or if you simply want to free yourself from distractions, we recommend the Four Points by Sheraton, Memorial City hotel. 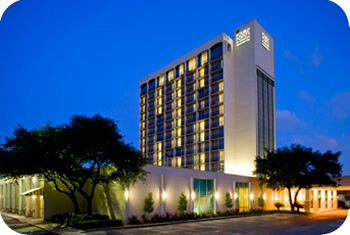 The hotel is located about two miles from the Christway Counseling Center offices. Every couple will have the optional opportunity to renew their vows to each other with Karl Elkins, a licensed minister. If you choose to participate, you will receive a beautiful vow renewal certificate that can be framed and will serve as powerful reminder of your marriage covenant. Consider additional individual marriage counseling or individual marriage coaching sessions as needed. We plan to offer additional opportunities such as enrichment groups and an advanced clinic in the future. There are no group projects in the Three-Day Marriage Clinic™ or the Three-Day Accelerated Marriage Counseling (AMC)™. The only person you must talk with is your partner (unless you choose otherwise). You will work on projects alone with your partner. If you choose to book a hotel room during the Three-Day Marriage Clinic, then you are welcome to work on your projects in the privacy of your hotel room. Appeal to your partner. Emphasize how you want to become a better to partner to them. Sincerely ask, “I want to learn how to better meet your needs. Would you be willing to come to this clinic/counseling to help me become a better mate to you. ?” Consider sending them a link to our web site or send them our PDF brochure. Come alone. There are many things you can do to improve or save your marriage alone. Most think they have done everything they can to save their marriage when in reality they are usually unaware of most of the 25 Essential Marriage Skills. Have hope. We realize that this is easier said than done, but if the Spirit of God raised Jesus from the dead, then He can resurrect your dead marriage—there is nothing God cannot fix! God’s ways work even in the most difficult of situations. Even if your partner has left you, has filed for divorce, has divorced you (but not remarried), or is involved with another person, you should attend. You will learn what you can do to maximize your influence, restore your marriage, and achieve God’s best. “You of little faith!” (Matthew 6:30). With God there is always hope! “For nothing will be impossible with God” (Luke 1:37). If the Spirit of God raised Jesus from the dead, then that same Spirit can certainly resurrect your dead marriage. That is either true or it isn’t. If not true, then there is no hope for any of us because “apart from Him we can do nothing” (John 15:5). But nothing will be impossible with God. God may want you to trust Him to put your marriage back together—even if you are divorced from your partner (as long as neither have remarried). Some couples actually do remarry simply by learning how to make a marriage really work! On average, men wait three years and women wait five years to remarry after a divorce. You may have much more time than you think to save your marriage! But you must commit to save your marriage God’s way not yours! We have seen over 500 people turn away from an adulterous relationship and recommit to their partner. When partners see and experience the power of our approach, it often gives them hope that they truly can be happy with their mate and ditch the affair. Our Three-Day Marriage Clinic™ and Three-Day Accelerated Marriage Counseling (AMC)™ maximize the positive influence on an unfaithful partner. Various policies cover different percentages (e.g., 80 percent, 50 percent, 0 percent) of your counseling costs. Christway Counseling Center does not check or file claims with your insurance company. We will give you a coded receipt for you to seek reimbursement. Therefore, if reimbursement is important to you, please ensure that you fully understand your policy coverage. Many plans do not pay for marriage counseling except in instances where one or both partners are experiencing an condition directly covered by your insurance, such as depression or adjustment disorder. If these conditions do exist, and they very often do, we can code your therapy accordingly. “Are there any limitations?” (Here you are wanting to know if you be reimbursed for more than one session in a day.) In a few rare situations, insurance companies will give you 50 sessions a year but only one session a week. Our Three-Day Accelerated Marriage Counseling will give you a receipt with five to eight sessions performed in one day. The Three-Day Marriage Clinic™ is not covered by most insurance policies (unless the policy covers group therapy), but at $11.05 an hour per person, it is quite affordable even without insurance reimbursements. Some employers pay for continuing education (CEU’s) workshops, seminars or classes. If so, check to see if you company will pay for this as a “relational leadership development” event. 1) Depressed mood most of the day, nearly every day, as indicated by either subjective report (e.g. feels sad or empty) or observation made by others (e.g. appears tearful). Note: In children and adolescents, can be irritable mood. 3) Significant weight loss when not dieting or weight gain (e.g., a change of more than 5% of body weight in a month), or decrease or increase in appetite nearly every day. Note: In children, consider failure to make expected weight gain. D. The symptoms are not due to the direct physiological effects of a substance (e.g. drug of abuse, a medication) or a medical condition (e.g. hypothyroidism). Contact your church pastor or receptionist and ask if they have benevolence funds to help couples needing marriage help. E-mail them or tell them about the Christway Counseling Center web site. Emphasizing the lower cost of the Three-Day Marriage Clinic™ and ask if they will help. Many times parents are willing to help their children with marriage counseling. Consider asking parents—but only if your partner agrees. If your marriage has deteriorated to the point where divorce is a possibility, realize that from a purely financial viewpoint, counseling is much less expensive than divorce. The Three-Day Marriage Clinic™ is approved for 18 CEU’s for Licensed Professional Counselors (LPC’s). If you are interested, please contact us. There is an additional administrative fee of $45. We care deeply about children. However, to avoid distractions, and as a courtesy to other participants, children (including nursing infants) are not allowed in any session. We regret that we are unable to provide child care. No. Neither audio nor video recordings or photographs of any component are permitted.